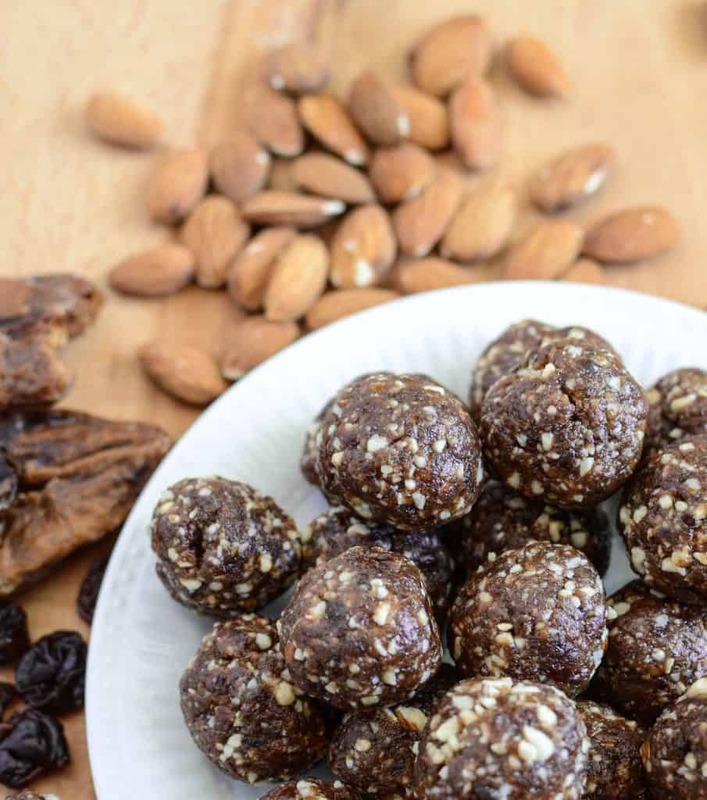 Have you gotten on the energy bites, energy ball, date ball/bite, little-nuggets-of-heaven bandwagon yet?! 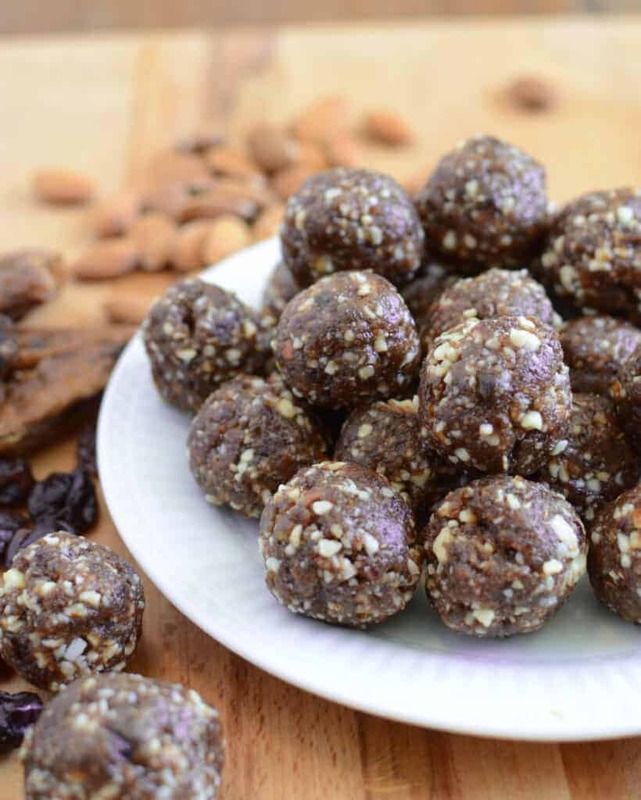 I’m here to convince you that you need this simple, healthy, whole food treat in your life. 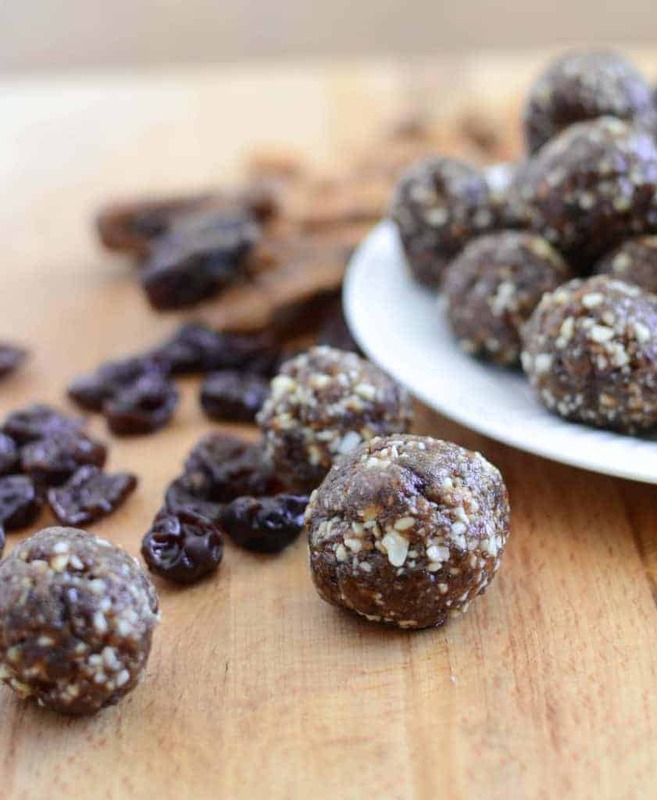 Healthy Cherry Energy Balls are going to become a staple in your freezer in no time! I taught a menu planning/food prep/cooking class last week and I had so much fun! 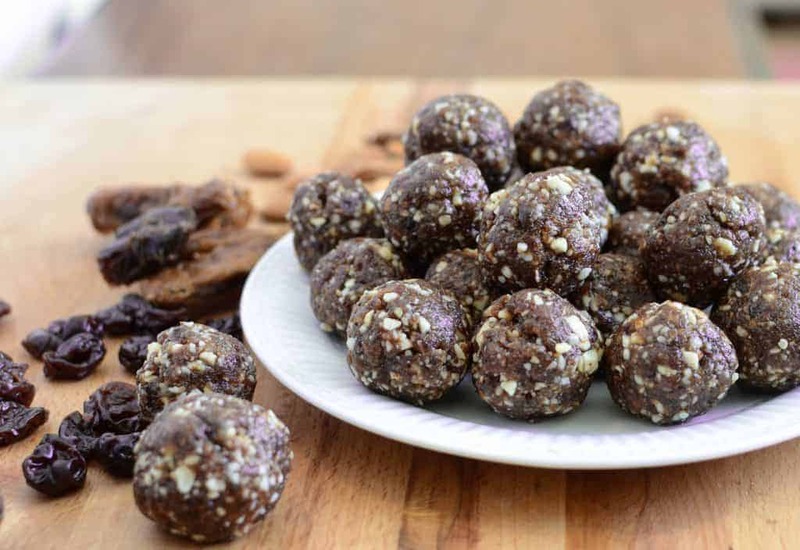 I took 8 different kinds of date balls with me as part of the treats. I had a lot of questions about what they were and what was in them, lots of people were a little skeptical too, but the proof was in the pudding, errr balls. Once people tried them they LOVED them. I even had a few older ladies ask me multiple times what was in each one because they were sure they didn’t like dates. Even if you don’t like dates, you are going to love these dates! You guys, these are so good! Add all of the ingredients to the bowl of your food processor and blend until the nuts are well chopped and a thick “dough” starts to form, about 3-5 minutes of processing. When the ingredients are well incorporated, remove the blade from the food processor. Take 1 large tablespoon of the “dough” and roll it into a ball in between your hands. Repeat with remaining dough. Keep the balls in the fridge for up to a week or in the freezer much longer. 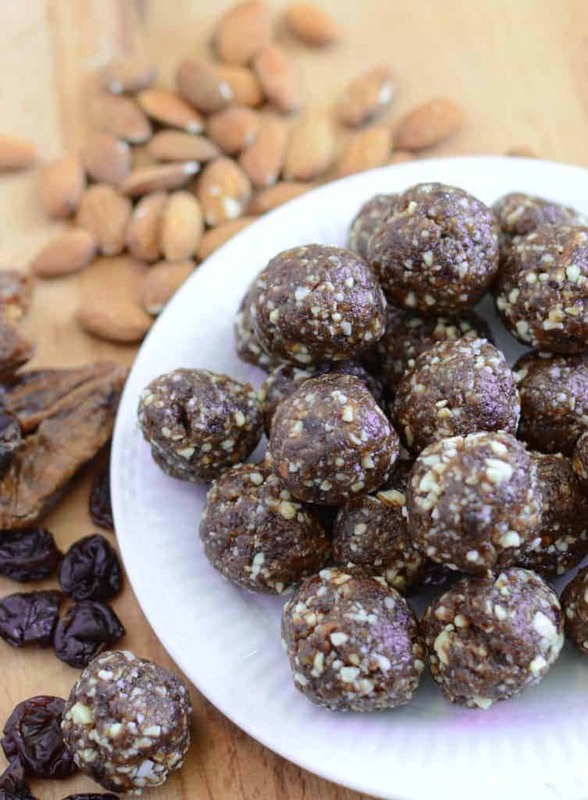 You are going to want to use dates that are still squishy and fresh. If you use older dates that have started to dry out a bit (they might have a slight white residue on the outside from the sugar crystallizing on the outside if they are old too), then you might need to add 1-2 tablespoons of water when blending to help the ingredients come together. Be sure to remove the date pits too. They are hard as rocks. If you blend it too long you are going to start making nut butter. So if the ingredients are chopped into super small pieces but the dough isn’t coming together, try adding a tablespoon or two of water to encourage everything to come together. Look for dried sour cherries that don’t have any added sugar. There’s some magical about some natural glucose, fat, and fiber in the middle of the afternoon. Your brain will love the pick-me-up! They are awesome sweet/sugar craving busters. Cherry pie. What more do I need to say?! 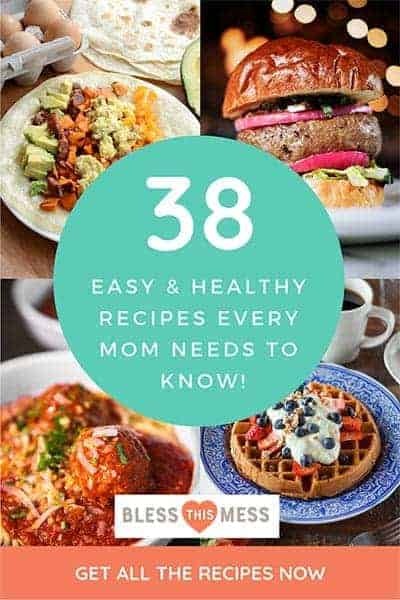 If you don’t have a bigger food processor (I use my Kitchen Aid Food Processor all of the time), then I would consider working in batches so that you don’t burn your motor up. When it comes to the nuts, I like to buy big bags at a time and store them in my freezer. This is the most economical way. As far as the cherries go, it tastes best with unsweetened sour cherries. They taste the most like pie. I have also made these with sweet and Bing dried cherries and it was good though not quite as packed with cherry flavor. Buying dates intimidated me a little the first time I went looking for them. You can get them at Costco in the unrefrigerated produce section. This kind had the pits in them still and I didn’t realize that. So I tossed them in my food processor, turned it on, and almost broke the thing. Date pits are hard as rocks. The pit come out very easily, just don’t forget that step! I have also bought whole pitted dates at my little grocery store near the raisins and other dried fruit. They came in a bag that looked like a “craisin” bag. I couldn’t tell a difference between the ones from Costco and the ones from our store and I had good luck making date balls with both. Dates are the sweetest little pieces of soft fruit you’ve ever had and they don’t have much flavor. You’re going to be surprised by how much you love them. 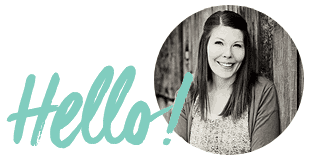 I can’t wait for you to try these! Enjoy and have a tasty day! Yummy! This is a good kick in the pants to finally try to make my own bars/balls. I buy Lara bars to eat one after my morning workout. Those look good! Where do you find sour cherries? Does it actually say ‘sour’ on the packaging? Also, is there any fruit that could be subbed for them? I feel guilty for eating…um…like half of these today. I don’t feel guilty because I keep telling myself they are natural, good, real food. Which side of my brain is gonna win this battle? Next time….like tomorrow probably… I will add more cherries, because, cherries! Thanks for the new addiction! Was fun trying something new and healthy. Glad you explained about pitted dates. I had my son help remove pits but it was so worth it!! Keep up good work.